Showing 12 Schools out of 472 Schools. MADE EASY Preschool is situated at 1 Daffodil Lane, Main, Chattarpur Mandir Rd, Sat Bari. Minimum age for admission in this Play school is 2 years 0 months. The Play school has CCTV & AC classes. Day care facility is also available in this Play school. 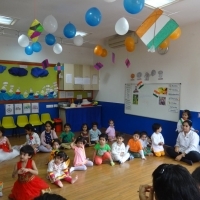 MODERN MONTESSORI INTERNATIONAL PREE SCHOOL is situated at S-535 Greater Kailash - II,, , NEW DELHI. Minimum age for admission in this Play school is 2 years 0 months. The Play school has CCTV & AC classes and follows Montessori Teaching methodology. Day care facility is also available in this Play school. ANUBHAV LEARNING CENTRE has completed more than a decade of service in the field of PLAYSCHOOL and DAY CARE. It has evolved from a seed to a fully grown tree. Anubhav has been very successful in fulfilling its mission of fostering happy and capable human beings. Over the past decade, Anubhav Learning Centre has carried a great responsibility and this has been done very joyfully while believing in the philosophy of humanistic education. We offer a unique education to children...in Anubhav’s terms it is called ‘education for life’.Anubhav Learning Centre takes great pride in being a truly inclusive institution. It mainstreams the not so fortunate and economically weak as well as those children with special needs and different abilities. This in fact enhances mutual learning, sensitivity and respect for all. To provide quality service we also have a special educator on board. The aim of the management is to provide a learning environment for your children where it feels happy, secure and loved. Little Senators is following the Maria Montessori's guidelines and methods of teaching and learning, with the objective to help your child to develop independence, self-confidence, attention and thinking skills. MAPLE BEAR CANADIAN PRE SCHOOL located in RAJOURI GARDEN. We are proud of Canada's track record of excellence in education, and we want to bring the very best of Canadian early childhood and elementary school practices and programs to India. Our goal is to establish Maple Bear Canadian preschools and elementary schools throughout India. There are currently 78 Maple Bear Schools in India and we are steadily expanding.Maple Bear in India is a joint venture between Maple Bear Global Schools Ltd, Canada and Modi Edutech (Modi group). We are born with a natural curiosity to learn and interact with the world around us. At Steady Steps, we aim to provide the individual with an enriching and nurturing environment that enables them to become self-leaders. 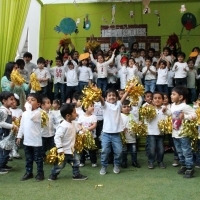 They then become individuals who are responsible, motivated to communicate, enjoy interacting with others, have greater physical freedom and enjoy the process of learning.Our curriculum provides teachers with a structure that builds the confidence, communication and imaginative abilities of each individual. This helps them to systematically develop the skills needed for achievement in their academic and social lives. At TKB, we believe that education is the cornerstone to a successful living & a prosperous society. Knowledge & skills gained through in classroom and co- curricular development are the building blocks of an individual's conﬁdence. At TKB, we hone the potential of each of our unique students to nurture multivalent competencies.The Knowledge Bus Global Preschool has been Ranked among the Top 10 preschools of Delhi by leading magazine Education World in its December 2016 issue. Learning is paramount while the joy, enthusiasm and sense of wonder that are forever heart and soul of our preschool. The hands on and minds on activities are not only effective, but also respect the playful, exploratory way children learn the best. During the years children spent with us they are encouraged to think creatively, examine critically and solve problems. They will leave TSEY VK knowing the most important skill of how to “learn”. 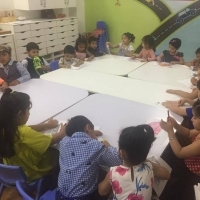 The curriculum at our Pre-school uses the multiple intelligences approach, emphasizing equally on all the multiple intelligences. 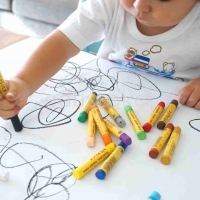 The objectives are fulfilled through the use of puppets, role play, circle time activities, art and craft, action songs, movement, and guided and free play, in order to develop creativity and understanding. AMBIENCE FIRST STEP is situated at K-15, HAUZ KHAS ENCLAVE, NEAR IIT FLYOVER. Minimum age for admission in this Play school is 02 years 00 months. The Play school has CCTV & AC classes and follows Montessori Teaching methodology. Day care facility is also available in this Play school. KINGDOM OF KIDS located in Greater Kailash.At KINGDOM OF KIDS we believe that each child is unique. Every child is perfect and has a bounty of hidden potentials that need to be nurtured. 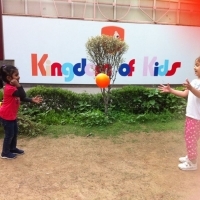 At Kingdom of kids, we provide opportunities' for children to enhance their strengths that give them .Our school is dynamic, a place of shared relationships among the children, the teachers, and the parents. The school sows the foundation of a feeling of belonging in a world that is alive, welcoming and authentic for the children. 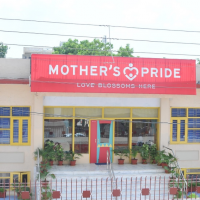 Mother&apos;s Pride located in ASHOK VIHAR.The journey of Mother&apos;s Pride began in 1996 with its first branch at Paschim Vihar. A spacious colourful school with a scientifically planned curriculum and computers opened the eyes of the parents to a new way of bringing up children. From then on, Mother&apos;s Pride became the trendsetter for preschool education. Today, Mother&apos;s Pride has over 95 branches and many more are on the way. G. D. GOENKA LA PETITE located in B - 73, GREATER KAILASH-1.The name gave a new meaning to the ambience and environment in which the latest of educational techniques could be applied and synthesized with the best in Indian culture.Every eye had opened wide with wonder when a model of education beyond anyone's imagination was created in 1994, in the shape of the G D Goenka Public School in Vasant Kunj, New Delhi became a trend setter in providing air-conditioned classrooms and buses to protect children of tender age from air and noise pollution. 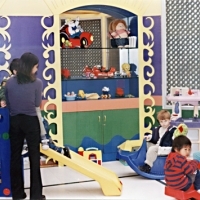 Searching & Selecting Pre Schools, Play Schools or Day Care for your Kid can be a difficult task. 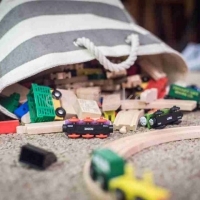 With Edustoke, your can find the best pre school , play schools or day care near you. Search using Distance, Fees, Safety features, Entry Age, Admissions start date,Transportation availability or teaching methodology like Montessori, Reggio Emilia, Play Way, Multiple Intelligence or Waldorf. Select by checking Reviews & Feedbacks among several brands like Kidzee, Euro Kids, Poddar Jumbo Kids, Little Millennium, Bachpan, Klay, Footprints & more. The Montessori Method of education, developed by Maria Montessori, is a child-centered educational approach based on scientific observations of children from birth to adulthood. Montessori's method has been used for over 100 years in many parts of the world. It is by far the most popular Pre school & Kindergarten teaching methodology used.The Montessori method views the child as one who is naturally eager for knowledge and capable of initiating learning in a supportive, thoughtfully prepared learning environment. It is an approach that values the human spirit and the development of the whole child - physical, social, emotional, cognitive.This is a method of education for young children that stresses the development of a child's own initiative and natural abilities, especially through practical play. This method allowed children to develop at their own pace and provided educators with a new understanding of child development. Educators who followed this model set up special environments to meet the needs of students in three developmentally-meaningful age groups: 2–2.5 years, 2.5–6 years, and 6–12 years. The students learn through activities that involve exploration, manipulations, order, repetition, abstraction, and communication. 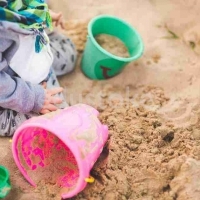 Teachers encourage children in the first two age groups to use their senses to explore and manipulate materials in their immediate environment. Children in the last age group deal with abstract concepts based on their newly developed powers of reasoning, imagination, and creativity.It attempts to develop children physically, socially, emotionally and cognitively. While there are a range of Teaching Practices & Pedagogies, some of the essentials one are-Mixed age classrooms; classrooms for children ages 2½ or 3 to 6 years old are by far the most common, Student choice of activity from within a prescribed range of options, Uninterrupted blocks of work time, ideally three hours, “discovery" model, where students learn concepts from working with materials, rather than by direct instruction, A thoughtfully prepared environment where materials are organized by subject area, within reach of the child, and are appropriate in size & a trained Montessori teacher who follows the child and is highly experienced in observing the individual child's characteristics, tendencies, innate talents and abilities. The capital city of India, Delhi, is replete with Good schools across all categories of affiliations like CBSE, AICSE and Government board schools. Being one of the most populated state city in India there is a high demand for best schools, both English and Hindi medium in Delhi. As a parent it becomes quite tedious to search for each school in different places and gather information about fees, admission process, application form issuance and submission dates. Most importantly while searching for schools around Delhi, we have little information about what fee schools will be charging and what is the admission process for a particular school. 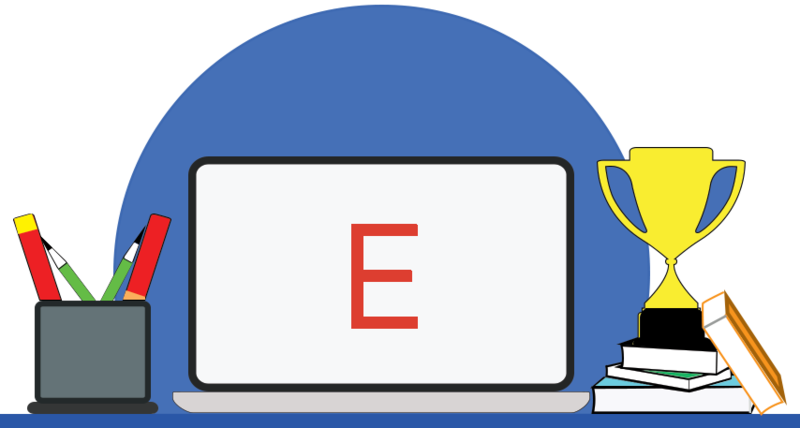 At Edustoke you can get all information related to any school in Delhi at one place and also get direct assistance from us regarding admission to any school in the Delhi Region. We have authentic information regarding application dates, fees charged by each Delhi Schools, Segregated list of schools in Delhi by Areas like west Delhi, East Delhi, North Delhi and South Delhi. You can Get Phone Number and email details of all schools in Delhi at Edustoke. The Delhi School information is also organised as type of school like Government school, Private school or by medium like Hindi Medium and English Medium Schools. We have verified contact details of every schools in the Delhi city, Name as well Address of the school to help parent chose the right school based on location from their home. We also have ranked various schools in the Delhi region based on their popularity, amenities and quality of teaching. The grandeur of Qutub Minar, Lotus temple, India Gate and the Rashtrapathi Bhawan... the lip smacking golgappas and choley batoore. Dilwaalon ki Dilli has its own unique texture which is neither rugged nor silken. Amidst the chilly winter, bustling traffic, alarming air pollution and striking sun during summers, Delhi still has that rustic charm which comes alive each day with the contrast people bring in. bureaucrat or commoner, though different in their lifestyles, possess a typical Delhite attitude which is hard to explain but easy to recognise. Delhi is much more than these. The ITs and the IITs have created a notable position for the city. Not just recognising as an India's Capital City but also India's economic, Industrial, educational biggie which is undoubtedly boasting the significance of this constitutional headquarters of the country. The city's service sector has expanded due in part to the large skilled English-speaking workforce that has attracted many multinational companies. Key service industries also include telecommunications, hotels, banking, media and tourism. Places like Connaught Place are the major economic hubs of the country which are contributing majorly to the city's and the country's economical makeup. The education in the capital city is as flourishing as its economical and cultural background. CBSE and ICSE syllabus has made available by the government to everyone including the under privileged under the RTE [Right to Education act of India]. Some of the major schools are Delhi Public School, Sanskriti School, Sardar Patel Vidyalaya, Carmel convent and many more which are making its mark by providing matchless education since years. The higher education at New Delhi takes a new dimension in a student's life with the existence of some matchless venues like Delhi University, Indian Institute of Technology- Delhi, National Institute of Technology- Delhi, IGNOU, Jawaharlal Nehru University, Jamia Millia Islamia, NIFT, AIIMS and many such universities which offer a diverse courses and educational programmes which has attracted many students from all over the country and world. Engineering, Medicine, Fashion Technology, Law, Linguistic degrees, Life Sciences, Finance and trade, management, hospitality, architecture, agriculture are the few categories under which a student has to choose to seek a passionate career.